I was reading this month's Vogue magazine and stumbled upon this eye-catching article. 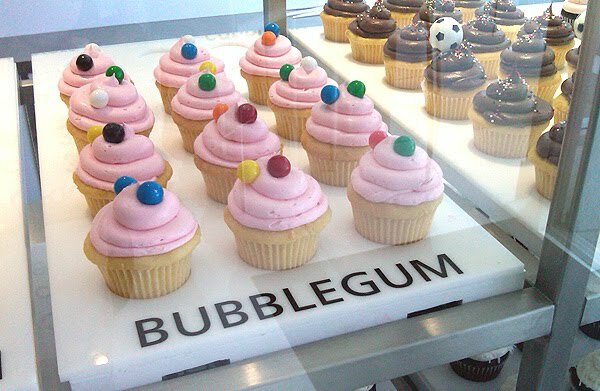 This month Sweetiepie opens in New York's Greenwich Village. The owner's Julie and Luke Janklow wanted to open a restaurant for kids to take their parents to reminiscent of the festive places she enjoyed going to while growing up in Los Angeles, such as Chasen's, or a fancy coffee shop like Leo's on Madison Avenue where you'd see Mrs. Astor eating a club sandwich. Julie describes the restaurant as "bake sale meets Marie Antoinette." There are peppermint and almond meringues, Victorian rose pudding made with organic strawberries and a light biscuit and towering ice-cream sundaes! 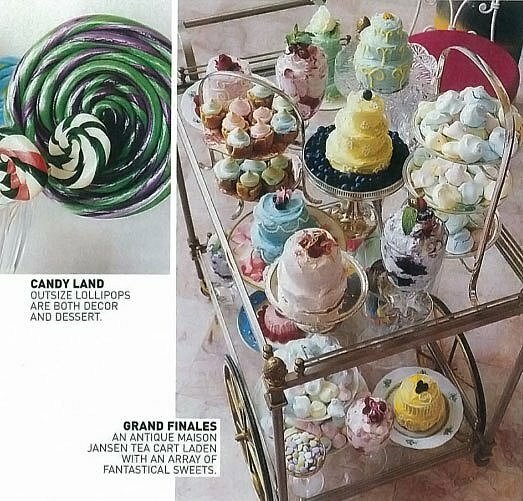 The decor sounds amazing with a pink marble floor, pink banquettes, and ice-cream parlor-type chairs, antique Jansen tea cart AND vintage silver pieces! 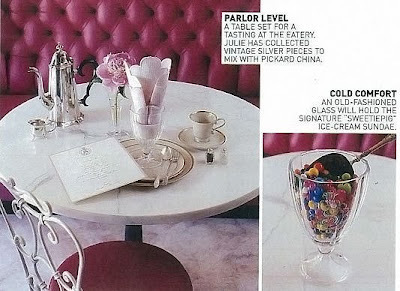 The restaurant's china is special ordered from Pickard, American plate makers for Air Force One. I can't wait to go back to New York and check it out! !